Technically, PincDocs is miles ahead of the competition! With PincDocs latest release, not only does the system have all of the Document Management and Document Control processes available out of the box, it is also technically ahead of it’s competitors. ..and to top it all off, PincDocs has been proven to be the least expensive, simplest to use and easiest Document Management system currently on the market. Call now +61 8 (0) 6555 1841 or email info@pincgroup.com.au and find out how easy and cost effective it is to take your business to the next step! 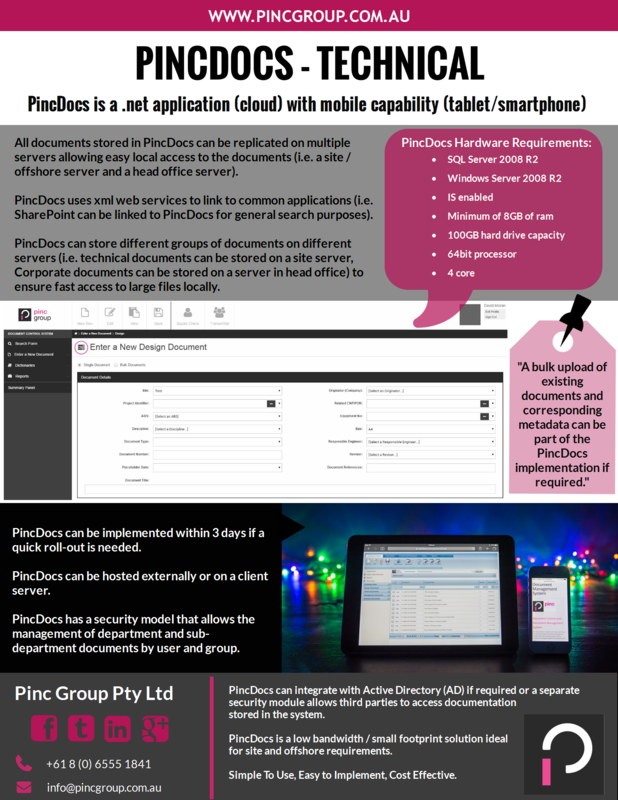 PincDocs – managing your documents, managing your business – value add!